Sashastra Seema Bal, Ministry of Home Affairs, Government of India, is going to conduct Physical test for Group-‘C’ Non-Gazetted, (Combatised) including Constable. The Physical exam is scheduled to be held in upcoming dates. Earlier Sashastra Seema Bal had completed application form filling process via advt no. 293/RC/SSB/RECTT./CTs/2016. Those candidates who had applied, can download SSB Constable Exam Admit card from the direct link given below. 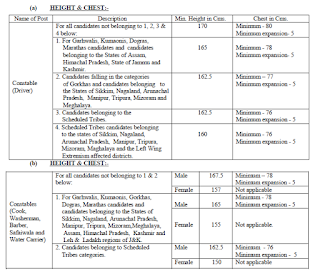 SSB is going to conduct Physical exam in upcoming dates for Constable posts. For that, admit card are going to be released soon. For appearing in this test, aspirants have to download the admit card from below given link after release. Currently the Physical Date had not been announced. Now the latest news is that the Admit card of SSB Constable will be released around 7-15 days before the exam. Candidates should download SSB Constable admit cards from the official website www.ssbrectt.gov.in via the direct link given below. The test will be held at various centres. All the important details like exam venue, roll number, date and time etc. had been mentioned in them. Earlier Sashastra Seema Bal had invited applications for Constable (Driver, Safaiwala, Cook, Carrier, Washerman, Barber) Male and female posts. Now as per the selection process, physical test is to be held first. The Candidates who qualify the Physical Efficiency Test (PST) will have to undergo Physical Standard Test. ESM candidates are exempted from PST. However, their actual height, weight and chest measurements will be recorded. Those who clears PET/PST and Documentation, written test will be held. It includes Paper 1 and trade test. Paper-I will be of 100 multiple objective type question. Questions are based on General Knowledge, Numerical ability, General English & Hindi, General Reasoning carrying 100 marks. After the trade test, DME will be held. Thereafter final list will be released. 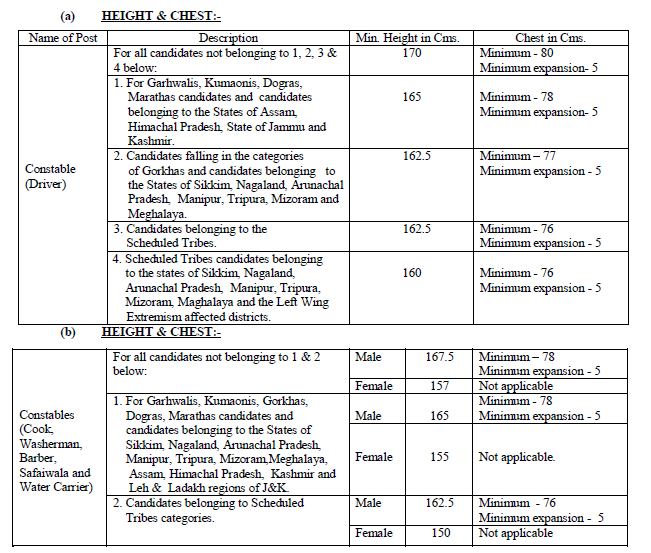 Selected candidates are to be placed in Pay Band-1 i.e. 5200-20200 + GP 2000. The posts are temporary and carries the liability to serve anywhere in India. The candidates can download their admit card from SSB website from here. No separate admit cards/call letters will be issued to the qualified candidates for SSB Constable written examination (Paper-I), Trade Test and Detailed Medical Examination. The list of qualified candidates called for above test will be displayed on the notice board of Recruitment venue and also at SSB website. In order to download the admit card for SSB Constable exam, candidates need to visit the direct link provided here (after release). It will take you directly to download page. Then candidates need to enter their registration details and click submit. Their SSB Constable Admit card 2016 will be shown after this. You have to take the printout.